In the heart of the Thousand Islands region is a special gem: Clayton, New York. Clayton is a cultural center in the Thousand Islands. History, music, and art are available all over this pretty town. The Clayton Opera House hosts a wide variety of concerts, musical events and entertainment, from jazz trios to bands to classical-inspired performances. The St. Lawrence Gallery showcases some of renowned local artist Michael Ringer’s best paintings of the area, as well as crafts, gifts and souvenirs. The Thousand Islands Arts Center and Handweaving Museum offer classes of all kinds for all ages, as well an ever-changing rotation of exhibitions, shows and sales throughout the year. The Thousand Islands museum offers a glimpse into the rich history of the region, reaching back through the ages to touch on topics like life along the river during the 1900s. The Muskie Hall of Fame showcases prized catches and information about the longtime river tradition of muskellunge fishing, and the Duck Decoy Museum highlights the local impact on duck hunting and decoy making throughout the years. The Antique Boat Museum is a Clayton staple, where visitors can take part in the convergence of history and art on the river with a tour of the museum to admire the original, handmade boats that were abundant in the Thousand Islands years ago. The annual Antique Boat Show celebrates this blend of history and art and provides a weekend of entertainment and education for everyone. A full roster of summer events include car shows, field days, crafts, arts and antique shows, and wine and food festivals. Clayton offers a variety of ways to get on the water, from marinas that rent boats and offer docking for private vessels to a variety of tour providers that will guide the way. Wine tours are a fun and unique way to get out on the river. Combining the flavors of local wines from Coyote Moon and River Rat Cheese with the unparalleled views of the Thousand Islands from the river, this elegant twist on a river cruise is an experience not to be missed. Other tours of the islands launch from Clayton too, including a glass-bottom boat tour that provides a unique look at life beneath the river’s surface with optional stops at Rock Island Lighthouse and Boldt Castle, two iconic St. Lawrence landmarks. Shop for Christmas ornaments, candles, clothing, and arts and crafts along historic Riverside Drive, and the surrounding streets. Filled with cafes, art galleries and specialty shops, this area is a paradise for a day of shopping and strolling. Sample fudge, ice cream, pastries and other sweets for a treat, or unwind with a glass of wine at the new Coyote Moon Wine and Craft Beer Lounge on the waterfront. Lunch and dinner offer endless opportunities for tasting culinary creations, from the basics like burgers and pizza to specialty sandwiches and entrees at some fine local establishments. Try a salad with Thousand Islands Dressing straight from the source—it’s a local original not to be missed. At any time of the day, relax in an Adirondack chair, picnic in the pavilion or cast out a line from Frink Park, the town’s riverside recreation area that offers beautiful views of the St. Lawrence River and historic Calumet Island. 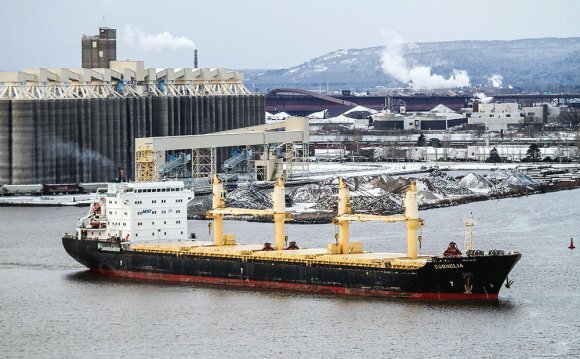 Watch the passing freighters on their transit from the Great Lakes to the Atlantic Ocean and back again along the St. Lawrence Seaway. And when the sun begins to set, the riverfront is the place to be—a St. Lawrence sunset is the perfect end to a perfect day, and something you won’t want to miss.